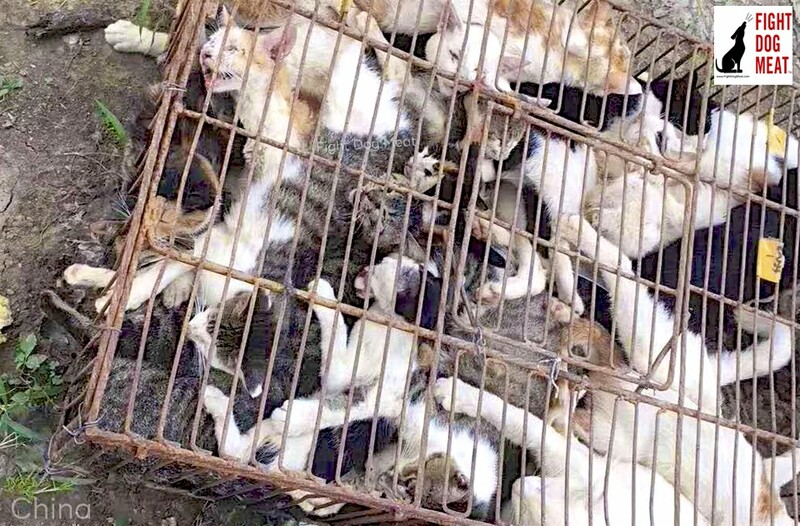 A loaded truck full of cat meat cats was intercepted in Nanjing, China. 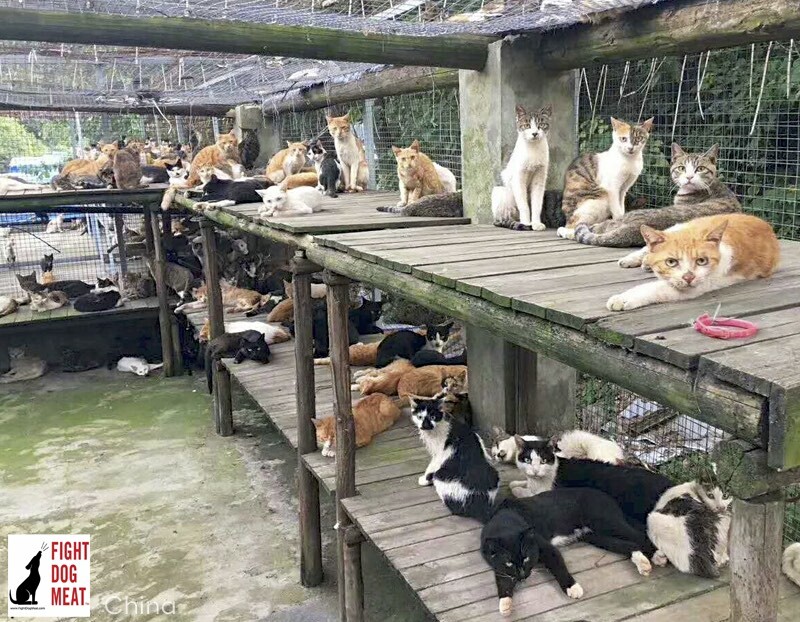 Police were called to the scene as local animal rescuers gathered to point out the large number of stolen pet cats entombed in the iron cages, still wearing their house collars. Many friendly stray cats were also crammed into the cages. All were headed to slaughter for meat and fur. 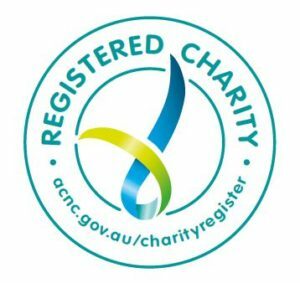 So many stolen pet cats wearing house collars. Truck loaded with live cat meat cats. Although there are no animal protection laws in China, it is illegal to steal; this includes theft of family pets. House cats with pretty collars are obviously pet who would have owners searching for them. 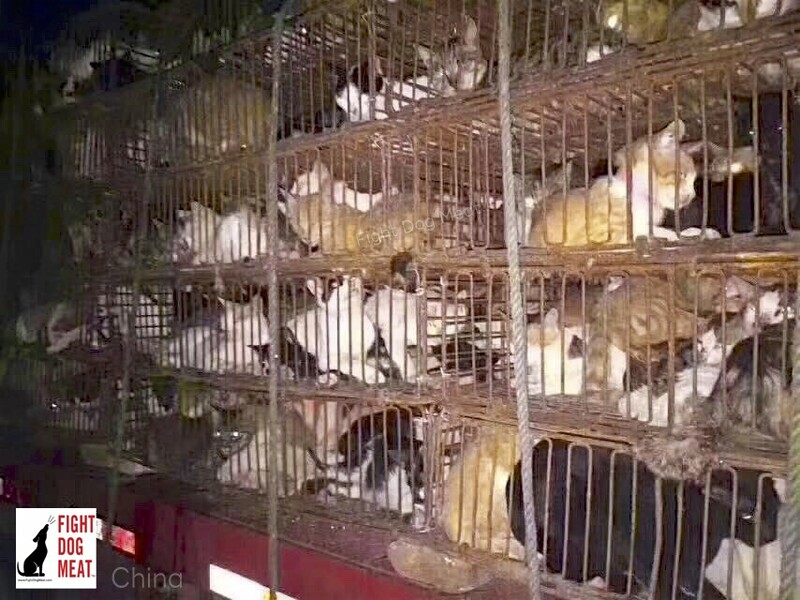 This truck interception was a success and police escorted the loaded truck to the police station where volunteer rescuers applied more pressure for the cats to be removed from the cages. 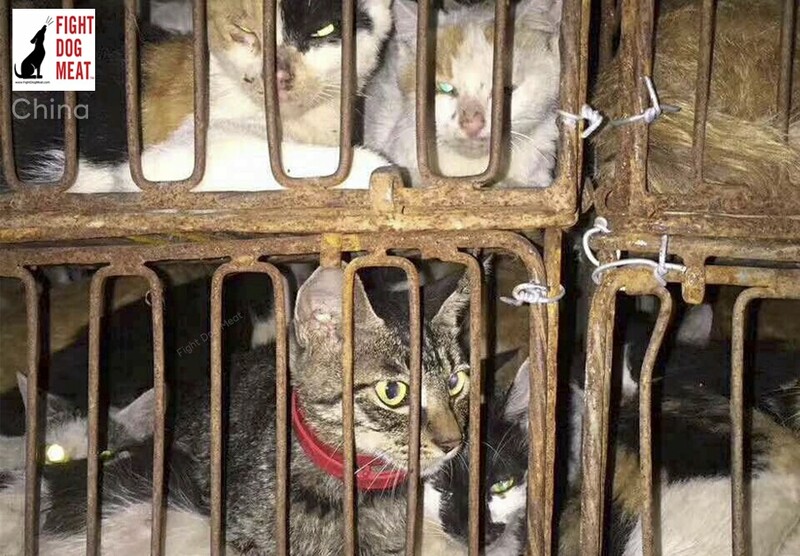 Most cats are solitary animals and its incredibly stressful for cats to be crammed on top of each other in confined spaces such as iron cages used to transport live cat meat cats. Many cats had already died of suffocation, from panic and heat stroke, being crammed on top of each other in the heat. 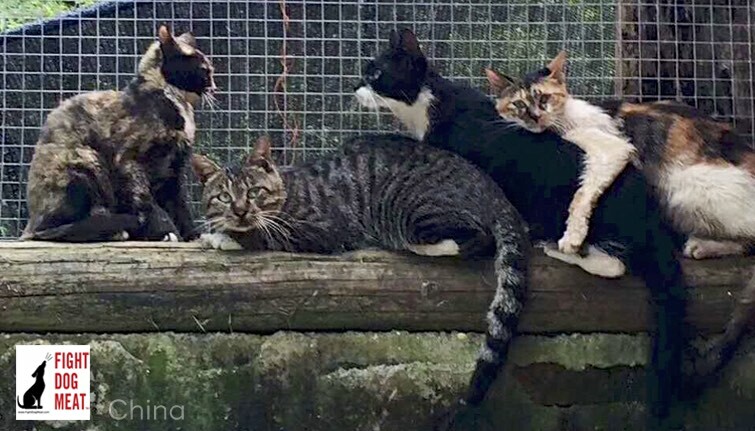 After being released from the cages, the exhausted cats were able to move around and stretch their limbs, as well as eat, drink, rest and sleep. These cats were the lucky ones. 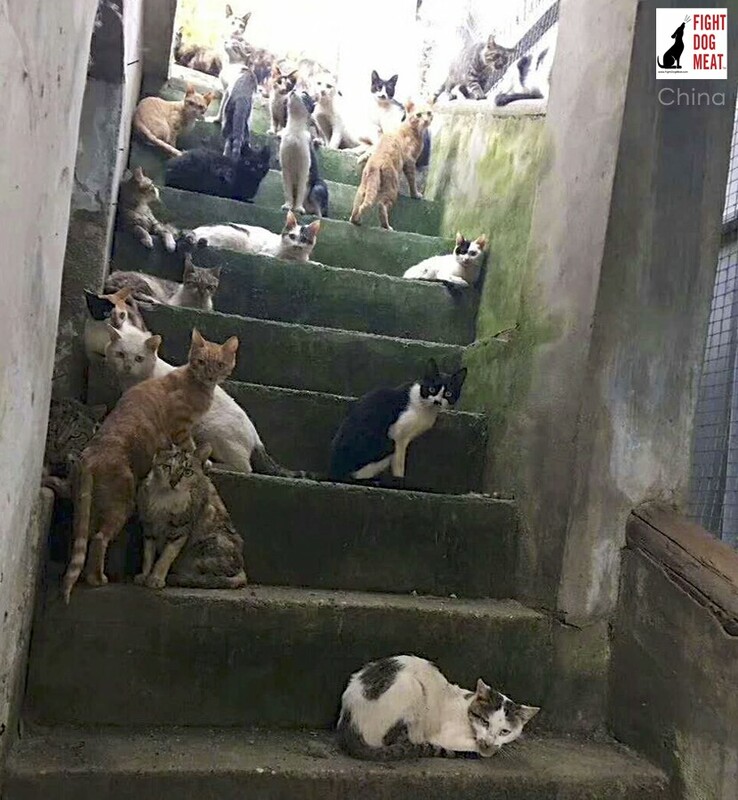 The truck driver was not able to prove ownership of the cats and the police kindly allowed rescuers to unload the distressed and dying cats in a safe rescue shelter. Some of the traumatized rescue cats. Survivor rescued cats at the shelter. Survivors cats from the cat meat truck. Cats are the forgotten victims of the dog meat trade. There are not a lot of cat meat truck interceptions so it was wonderful for this one to be successful. Thank you to the lady who instigated this interception and all the volunteers who came to her aid, to push this through to a successful outcome.